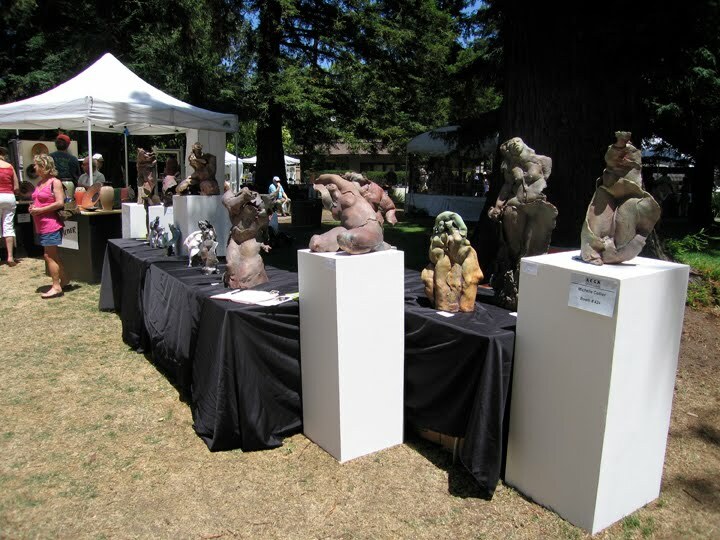 The Palo Alto Clay and Glass Festival was this past weekend. Thank you to all who stopped by to buy and to talk art. It's a lot of work and I sometimes (while stuffing my pedestals into my vehicle) question whether it's worth the exertion. The answer is yes because it is one of the few times I get to show exactly the pieces I choose (not what some judge in some show chooses) and I get to talk about what I do and how I do it with people who are genuinely interested. So thank you all...you make it worthwhile.